A megachurch is a large church. It usually has around 2,000 or more people come every week. 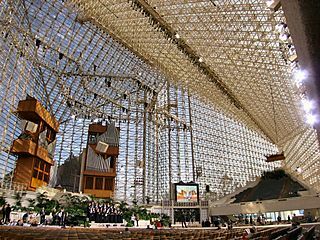 About 1,300 Protestant churches are megachurches. Megachurch Facts for Kids. Kiddle Encyclopedia.